Mayor Ken Castner and City Manager Katie Koester spoke at the State of the City Tuesday. During the Homer Chamber of Commerce State of the City Luncheon Tuesday, Homer officials touted the city’s good financial health. Homer Mayor Ken Castner said the city generally uses conservative estimates when it comes to revenue each year. He said that prevents overspending. Castner thinks Homer’s city government has grown but notes labor costs are making up a smaller percentage of the overall city budget. Still, the mayor said there are ways to improve the city’s budgeting process. He recommended developing a policy that would require the city to keep healthy reserves in its savings accounts. Castner also wants the Homer City Council to craft the city’s budget on a bi-annual basis. “I think that if we budget for two years and we’re always looking back 11 months and ahead 11 months (then) on a quarterly basis we can always see how the cash moves in and out of the city's coffers,” he said. “And we can get a really great idea as to where our budget will be in two or three years rather than just kind of looking at it on a lump-sum annual basis in the fall. He believes that a two-year budget could also save the city money by cutting auditing and management costs. City Manager Katie Koester spoke in support of the idea, saying it would allow city officials to spend more time on other issues. Koester said the city has been able to weather the last few years of the state’s fiscal crisis well but noted an undercurrent of anxiety surrounding Gov. Mike Dunleavy’s proposed budget plan. He’s proposing deep cuts to education, health and the marine highway system. Koester and Castner also touched on numerous other topics such as the state’s plan to repave Pioneer Avenue in May and the city’s continued work toward a large-vessel harbor expansion project. Homer City Manager Katie Koester told Homer residents Tuesday that the city is keeping its head above water as the state fiscal crisis and recession continues. 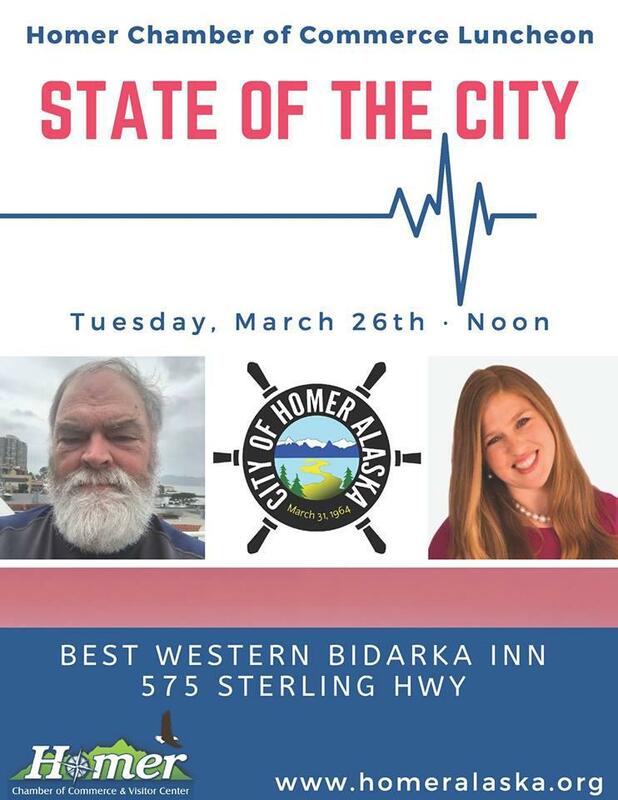 Koester gave a State of the City speech to residents during a Homer Chamber of Commerce luncheon at the Best Western Bidarka Inn. She highlighted Homer’s diverse economy and steady population growth.